The insurance industry, attracted by the prospect of millions of new customers as a result of the coverage mandate, initially backed President Obama’s campaign to overhaul the healthcare system. And insurers scored a key victory when Democrats abandoned plans to create a government insurance plan, or “public option.” But insurers are increasingly balking at the myriad new directives in the healthcare law. Among other things, the law prohibits insurance companies from denying coverage to sick children and canceling policies when customers get sick. The law bars insurers from placing lifetime caps on how much they will pay when their customers get ill. Many consumers will also get new rights to appeal denied claims and win new access to preventive care without being asked for copays. “The health reform law did not deliver the uninsured in the way that insurers wanted,” said veteran healthcare analyst Sheryl Skolnick, senior vice president at CRT Capital Group. But this is creating a wee problem for everyone. You see, Republicans are loudly proclaiming right now that they want to eliminate the part of the law that forces everyone to buy insurance. But that’s exactly the part of the law that insurance companies like. In fact, they want to see it strengthened. 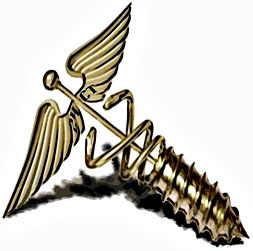 At the same time, they want to get rid of the popular parts of the law that keep insurance companies from figuring out ways to screw patients. But those are the provisions that Republicans say they’ll keep if we turn over Congress to them. And yet, the insurance companies are massively funding Republicans this cycle anyway. Why would that be? It’s almost as if they’re sure that Republicans are just blowing campaign smoke and will support their agenda once they’re safely in office. They’re so sure, in fact, that they’re willing to put their money where their mouths are to the tune of millions of dollars. So which do you believe? Republican mouths or insurance industry money? Decisions, decisions…..